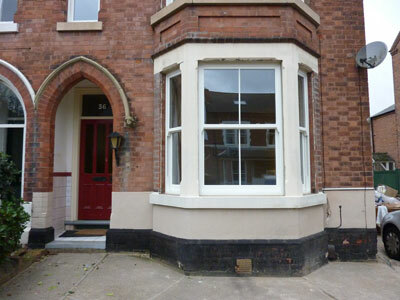 14 UPVc Timber Alternative Sliding Sash Windows Installed from the Bygone Collection. 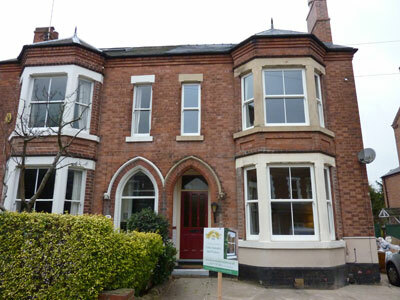 This property in Nottingham had the original wooden sash windows removed in the 1980’s and were replaced with single glazed wooden casement windows. 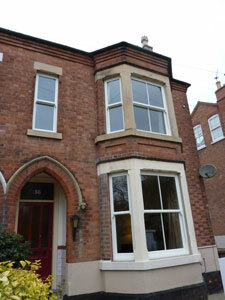 The new owners of the property wanted to return the property to having the original look of sliding sash windows. 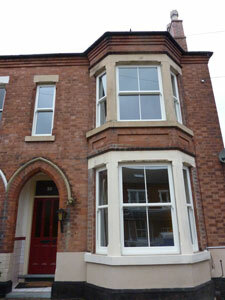 Timber Alternative UPVc Sliding Sash windows were selected from the Bygone Collection range. 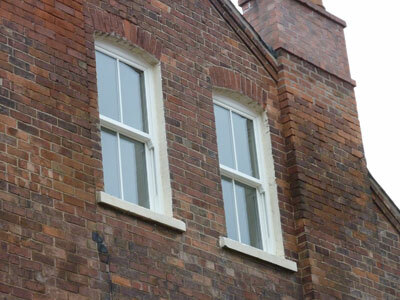 Double glazed, ’A’ rated for energy efficiency, award winning for security, and aesthetically near perfect in replicating the original timber sash windows. Internally the windows were finished off by removing the plaster reveals and installing period architrave and stub cills.